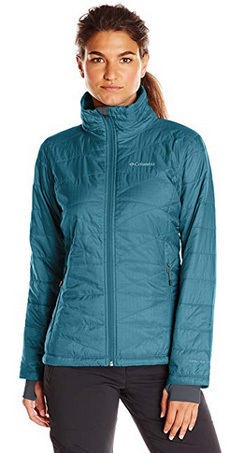 Single reviews on women’s jackets have not been that frequent on our site, and as we said in the review of Arcadia, we are certainly going to make up for that. 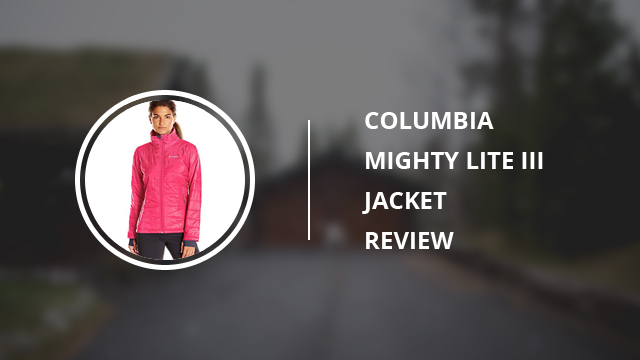 As such, today we will be taking an in-depth look at Columbia’s Mighty Lite III jacket for women. Columbia, as we have said in some of our other selections and reviews, is a brand that has been featured extensively in several selections of ours, as well as single reviews and brand reviews. We find their jackets very interesting, not solely in performance and quality, but also in design and color selection, as it provides numerous options, which is the case with Mighty Lite III as well, as you will see below. The reason we picked this particular design is because it’s quite versatile in wear and can pass for a casual and a sports jacket. Typical sports jackets can be spotted right away as they have quite distinctive features and, while you may certainly wear them casually as part of a daily outfit, odds are it will stand out and look out of place. 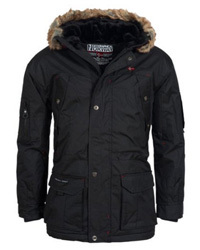 Mighty Lite III, on the other hand, is a more refined design that can pass for a normal winter jacket, as you will see in the following section. Mighty Lite III is a winter jacket, designed for some more added agility than a typical winter jacket. As such, you can wear this design for both casual everyday wear during the colder months of the year, and also take it with you when you spend times out in nature. It’s a very practical design, in a feminine style and as such it goes great with casual clothing and sportswear, too. Now let’s look at its design features one by one. First and foremost, it comes with quite a high collar, which will protect the lower part of your face and the neck. 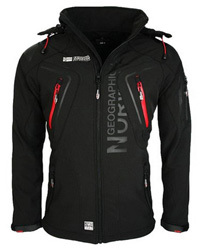 It also serves as a cold and chill protector, since it closes off the top of the jacket from the elements. However, it doesn’t come with a hood so it’s best that you steer clear of rain or snow. It is water-resistant, but we’d suggest you wear it in dry weather. On the collar there is also chin guard, which protects the neck and chin from the main zipper. Speaking of which, the main zipper is full-length and placed in the center. The sleeves are long and wide, with standard cuffs on the outside and inner wrist gaiters that come with thumbholes in them. Wrist gaiters are a must for those who live in very cold areas as they help protect the hands and prevent the chill from getting through the sleeves and inside the jacket. 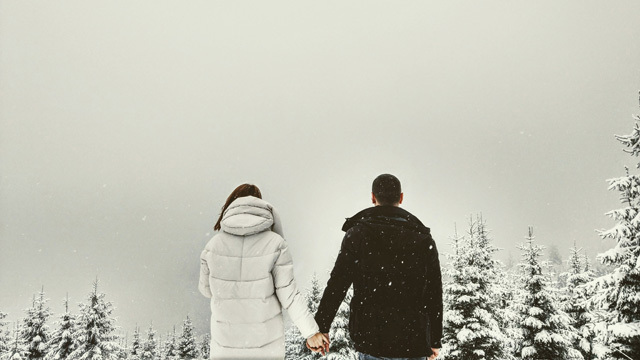 This jacket comes with two zippered side pockets on the outside, which are lined for keeping the hands warm, and one interior security pocket where you can safely store your belongings. The fit is slightly looser, if you have picked the correct size, that is, and it’s done so on purpose, in order to leave some room for layering underneath. This is a very warm jacket and it’s also wind-resistant. We will now move on to the materials, where we will also explain why this jacket is so warm. Mighty Lite III is a Polyester-made jacket, however that’s not all. The shell is Omni-Shield, which is a durable coating that keeps stains and dirt off the jacket, while adding some water-resistance to it. 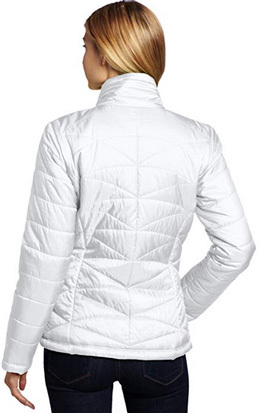 The most important part is the Omni-Heat Lining and Insulation, which are also 100% Polyester. Omni-Heat reflective is a fabric that breathes adequately but which gets its name from reflective silver dots, that manage to reflect body temperature and keeping you warm and cozy for a long time, without getting too warm. Read also: Columbia vs. The North Face: Which Brand Is Better? 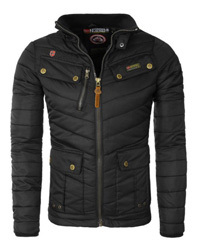 Having as many online reviews as this jacket does, is quite telling as to what you are getting. 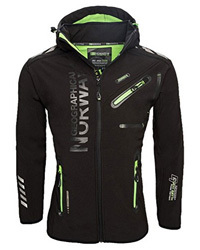 First things first, the lightweight and packable design is a huge plus for many reviewers, as they can take this jacket anywhere without it adding weight or bulk. This is a warm design that manages to insulate properly and keeps the cold out. 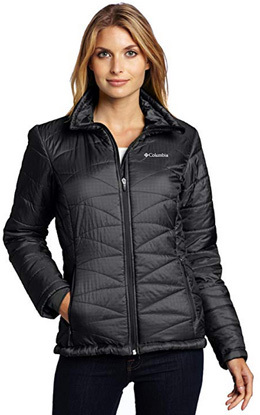 It is also wind resistant and the cinched waist on the back makes for a very flattering fit. The vibrant colors are also to be noted and as we said, the jacket leaves quite some room for layering underneath. The only issue faced by some of the reviewers was poor craftsmanship, however this was not too common among the reviews, which could probably be attributed to individual faulty products. Mighty Lite III is a lightweight and cozy winter jacket that packs well, fits comfortably and keeps the cold out. If you are in the market for an affordable seasonal jacket, then this could be it.